Got a similar one and bending easily. Might build my own in the end. 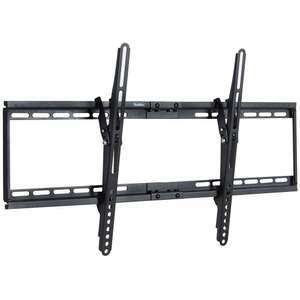 Blackspur BB-TV205 Tilt TV Bracket - Black/Silver@amazon.£5.96 prime,£10.45 non prime. 'Crap' as in I missed out! 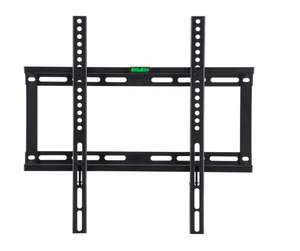 I'm looking at these but my Now Tv stick's plug is quiet big, is there much room for it behind the tv? I wouldn't advise using those kit for TV. 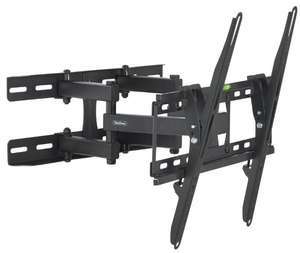 TV wall mounting is the one area that we all tend to go well OTT with. I've hung various TVs up to 50kg on brick walls with M8 coach screws, but that's massive overkill unless you have a big pan and tilt swivel arm. If it's a close to the wall slim bracket, and the weight is taken at right angles, you'll need something considerably less bulky. Think of it this way, if you have a double kitchen cupboard that's held up with 2 screws and is full of crockery/tins, that's going to be pretty heavy but nobody uses coach screws for installing kitchen units do they? Except your unlikely to get 4 screws all in the wood. 2 at best. Would need dry wall fittings in addition. 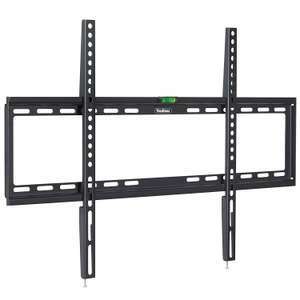 Would this support a 55” tv? The Socketed Rare Tilting bracket is better as it give 10% higher defence, has higher durability and +1 attack, with the ability to attach upgrades. Think it’s more the fixings you use to fix the bracket rather than the bracket itself that would be the issue! Should I trust a £5 bracket with my £750 TV? No thanks. 47" is a small tv? OOS and back at £347.99 Heat added. Don't the netgear ones for around £12-14? I'd recommend the cheaper plastic version. It's easier to tape over the lights with one piece of tape.